Two years ago, members of the Marching Illini Sousaphone Section did the impossible - - they ran a 5K while carrying their sousaphones. They also raised $2500 for the Crisis Nursey of Urbana, IL. 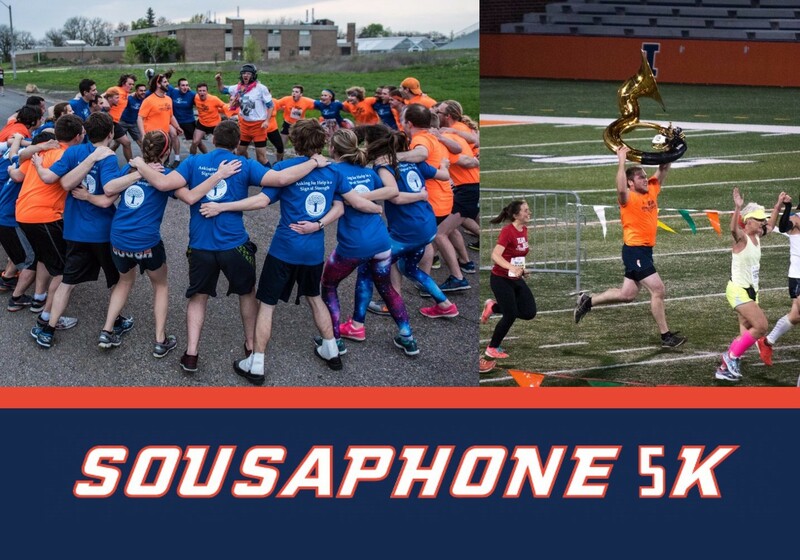 News of their efforts spread across campus and the band and last year over 35 people ran with sousaphones including Marching Illini Director Barry Houser. They raised over $5600 doing it. This year they are going at it again and will run this Friday. Director Barry Houser once again has promised to run the race with a sousaphone if they can raise $5K. They are only $850 away from hitting their goal. Recently some of the members went to the Crisis Nursery to train with some of their biggest fans. The Nursery's mission is to create an "Island of Safety" dedicated to the prevention of child abuse and neglect by providing 24-hour emergency care for children and support to strengthen families in crisis. Watch this super cute video that captured their time training at the Nursery. What an awesome difference they are making in those kid's lives. This is tremendous.